Oculoplastic surgeons are experts in eyelid, orbit, and lacrimal surgery. An ophthalmic plastic and reconstructive surgeon is a board-certified ophthalmologist (medical doctor and eye surgeon) who has completed additional fellowship training in plastic surgery as it relates to the eyes and surrounding structures. This field of medicine is devoted to treating problems of the eyelids, eye socket, and tear drainage system. As ophthalmologists, oculoplastic surgeons understand that the eyelids are an integral part of vision. A drooping or heavy upper eyelid can block vision. Because surgery of the eyelid area can affect one’s ability to see, ophthalmic plastic surgeons are best qualified to perform this delicate surgery and also provide any care that the eye itself may need. Cosmetic surgery is also a large part of oculoplastic surgery. Nobody understands the eyelids like an oculoplastic surgeon. When considering cosmetic plastic surgery, it is always important to remember that the function of the eyelid is to protect the eye. The eyelids are an integral segment of the visual system, and cosmetic surgery of the eyelids should never compromise the health of the eye. The Rock Hill Eye Center is pleased to offer the expertise of Dr. Rhonda Barrett, a board-certified ophthalmologist and oculoplastic surgeon. She is York County’s only full-time ophthalmic plastic and reconstructive surgeon and is available for consultation today. Blepharoplasty can be performed on upper or lower eyelids for cosmetic or functional reasons. Often people choose cosmetic blepharoplasty to improve their appearance by making the area around their eyes firmer. When heavy upper eyelid skin drapes across the eyelid margin and blocks vision, it is considered a functional problem rather than cosmetic. Heavy upper eyelids can often cause difficulty with driving, working, or reading. Surgery can be performed to correct this problem and many patients report improved vision and comfort levels. Many insurance providers cover this surgery, and your doctor will evaluate whether you are likely to qualify. Ectropion means that the lower eyelid is “rolled out” or sagging away from the eye. The sagging lower eyelid leaves the eye exposed and dry. If ectropion is not treated, the condition may lead to chronic tearing, eye irritation, redness, pain, a gritty feeling, crusting of the eyelid, mucous discharge, and breakdown of the eye surface due to exposure. 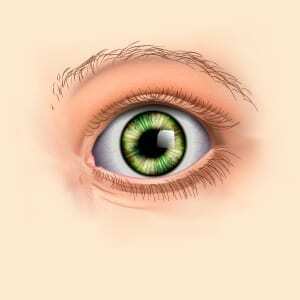 Ectropion is most commonly caused by age-related stretching of the normal eyelid tissue, and this condition can be corrected with eyelid surgery. Most patients report increased comfort and less tearing following this reconstructive procedure with little, if any, post-operative discomfort. Entropion means that the lower eyelid is “rolled in” toward the eye, often with the eyelashes rubbing on the surface of the eye. This can cause eye irritation or the sensation of a foreign body in the eye. If entropion is not treated, the condition may lead to chronic tearing, light sensitivity, eye irritation, redness, pain, or a breakdown of the eye surface due to the constant rubbing of the lashes on the eye. The eye surface may develop a painful abrasion, ulcer, or scarring if the condition is not treated. It is important to have surgical correction of an entropion to prevent harmful damage to the eye surface. 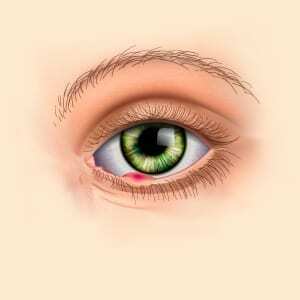 The success of this surgery is quite high and most patients report immediate relief of the eye irritation with little, if any, post-operative discomfort. Ptosis is the medical term for drooping of the upper eyelid(s) and this can occur at any age. There are many causes, although an age-related weakening of the eyelid muscle is the most common cause. When the eyelid droops, it may cover the pupil and decrease the field of vision. Patients often report that they can see if they raise their eyelids with their fingers. Other patients may raise their eyebrows in an effort to raise their drooping eyelids. This may make the eyelids feel tired and heavy, especially at the end of the day. Ptosis can be corrected in many cases with surgery to tighten the slipped muscle. The goal of surgery is to raise the eyelid to allow a full field of vision and also to achieve symmetry with the opposite upper eyelid. Many insurance providers cover this surgery, and your doctor will evaluate whether you are likely to qualify. Areas of skin exposed to sunlight, including the eyelids, are at a higher likelihood of developing skin cancer. Any new bump or lesion of the eyelids should be evaluated to determine if treatment is required. Oculoplastic surgeons are specialists in the treatment of eyelid cancers and in the reconstruction of the eyelid following removal of the skin cancer. Removal of skin cancers in the eyelid area often requires a team approach between the oculoplastic surgeon nad a dermatologist with special training in Mohs surgery. Mohs surgery is a technique in which the dermatologist removes the cancer and inspects the margins at the time of the surgery to make sure that all of the cancer cells have been removed. Mohs surgery also allows for any normal tissue to be preserved. The eyelid is then repaired by an oculoplastic surgeon who is specially trained in eyelid reconstruction and who is able to restore the form and function of the eyelid. Tearing is a common complaint and can be due to many different causes. Your eyecare provider will perform an evaluation to determine the cause of your tearing. One cause of tearing may be a blockage of the tear duct that drains tears from your eye down into your nose. When the tear duct is open, you may notice that your nose runs when you have increased tear production. With a blockage of the tear duct, the tears are unable to drain adequately into the nose and they may overflow from the eyelids onto the face as if you were crying. In some cases, an infection of the tear duct may occur if the tears are unable to drain adequately. This condition often requires antibiotic treatment and may also require surgery to open the blocked tear duct. Tearing can occur in both adults and children. Children may present with frequent tearing from one or both eyes and may also have mattering or discharge in the eyes. Often the tearing will resolve in children before the age of one year. If the tearing does not resolve, the tear duct can be evaluated and often opened by passing a probe through the tear duct under anesthesia. A high success rate is achieved from this procedure with resolution of tearing. Thyroid eye disease (also known as Graves’ Disease) is an autoimmune inflammatory condition that affects the tissues of the orbit (i.e., eyelids, eye muscles, and other soft tissues surrounding the eyes). Many patients with this condition have an known thyroid abnormality, although others may develop the eye disease prior to being diagnosed with a thyroid disorder. A small number of patients may have thyroid eye disease without developing a thyroid abnormality. 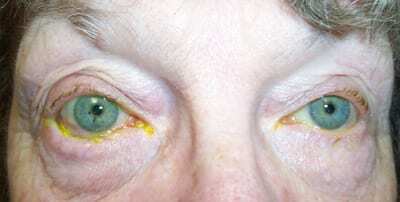 Thyroid eye disease varies from patient to patient. 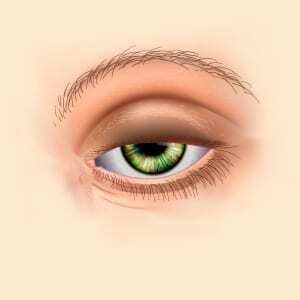 The most common findings are eyelid retraction and bulging of the eyes (also known as proptosis). These findings cause the eyes to look more prominent and for the patient to appear as if they are staring. The eyes may be exposed to the air and become dry and irritated. Artificial tears can be used to minimize these symptoms. Patients may also develop double vision as the eye muscles become enlarged. A small number of patients with thyroid eye disease may develop severe inflammation leading to the compression of the optic nerve with vision loss. If you have thyroid disease, it is important to be evaluated by an ophthalmologist to assess the degree of eye involvement. Your medical doctor or an endocrinologist will manage any thyroid level abnormalities and may prescribe medications to help normalize thyroid hormone levels. It is important to be examined regularly by your eye care provider to monitor progression of the disease and to be managed with measures to reduce ocular symptoms. Patients with minimal eye symptoms may be treated with artificial tears to limit dryness and irritation of the eye surface. Patients with moderate to severe thyroid eye disease may require medical or surgical intervention to reduce inflammation or improve vision.